According to multiple studies by credit agencies, nearly 80% of Americans have some kind of debt. This information reflects any kind of debt, including student loans, housing, vehicle payments, credit cards, personal loans, business loans, and any other kind of money that was borrowed and not yet paid back in full. This also includes things like unpaid medical bills, which Americans have in surplus. With so much debt hanging over our shoulders, it’s no wonder that recent surveys show that most Americans have come to the conclusion that debt is simply a necessary evil in our lives. In fact, now more than ever before, more elderly Americans are choosing to not pay off their debt before they retire, perhaps due to a larger cultural shift in the way we view debt in general. But there are still many who want to work on reducing debt and getting their credit score up so that they can live an easier lifestyle. For these people, debt isn’t a necessary evil at all – it’s a temporary state that they plan to change. If you are one of these people, then you’ve probably considered a debt consolidation service before. There are many ways to pay down debt, but consolidating all your debt into one easy payment through a third-party service is often one of the easiest methods. It allows you to go on living your life without having to negotiate payments and settlements with each and every company that wants a piece of the pie. There are many debt consolidators on the market to choose from, so it’s important to consider carefully who you want to represent you to your creditors. 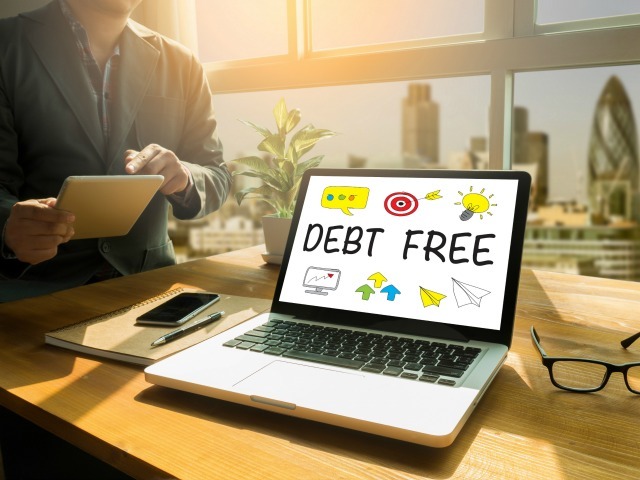 A traditional debt consolidation provider is a company, like Freedom Debt Relief, that assigns an employee to your case. That person will contact your creditors and begin negotiating with them on your behalf for lower payments, or better payments, until a satisfactory truce can be met. Meanwhile, you’ll work with the company by setting aside payments to a savings account they have set up for you. When settlement has been reached with creditors, they will pay off all creditors in a lump sum that includes what you have set aside. Then you pay them the rest of what you owe until you’re done. These services are usually high-interest loans, but for many people, the peace of mind and smaller debt settlements can be worth it. Another way that many people are choosing to tackle debt these days it to take a short peer-to-peer review through a service like Lending Club, Upstart, or SoFi. After paying off all debts quickly (reducing interest, and thus, the bottom line), borrowers can pay back an individual or set of individuals, through the matchmaking service that introduced them to their investors. There are many things to watch for when choosing the best debt consolidation service. Be sure that the service is accredited by an industry standard, such as the International Association of Debt Arbitrators, or the American Fair Credit Council. Additionally, you’ll want to check the fees and interest rates of any service before you apply. You’ll also want to be sure that the company reports to a credit agency; by taking out a loan through a debt consolidator, you will hurt your credit slightly, so having a consolidator that reports to the agencies when you make your payments on time can offset that slight drop in rating. All debt consolidators have different requirements of their borrowers, so it may take some time to find the best option. Shop around until you find an accredited option that offers you the best interest rate you qualify for, and enjoy your debt-free life.